Let's start by mentioning the release of the traditional annual "wikiloops transparency report" in early january. Those of you who care to get to check out what makes the 'loops go round can get an insight into how we made it thru 2018 there. 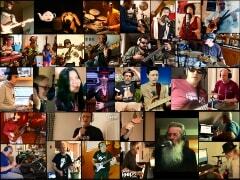 and those who support our efforts to keep wikiloops around. 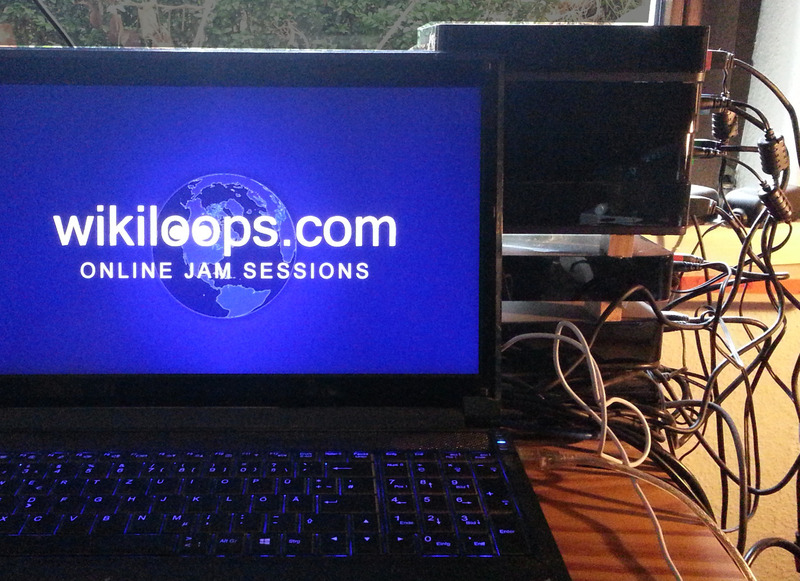 21 days down the road and wikiloops will be online for eight years running. What have you been up to in the past eight years? Doesn't 2011 seem quite far away by now? then things that remained the same, right? wikiloops is still independent: the project doesn't belong to any huge stockmarket-listed network - we've been family + member-funded all the way. all relevant details about the project are offered in our public transparency reports. 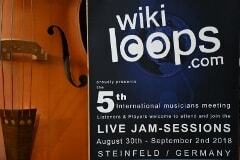 wikiloops still serves as an open minded meeting place for musicians from all around the globe. To make sure wikiloops doesn't get outdated like the smartphone (or pretty much any other technical device) you bought 8 years ago, we will once more be rolling out a new version of wikiloops some time this spring. The main concern of that update will be purely technical, adopting wikiloops code to the latest browsers capabilities, so don't expect any unforeseen new functionalities. We are letting go of jQuery in this update and have replaced any previously dependent code, most prominently the wikiloops audio players backbone in this version. 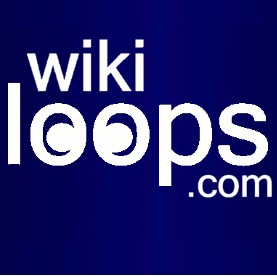 Many thanks to Kimbo for passing me the link & including a little wikiloops promotion, too. As explained in more detail in the transparency report, there have been some major changes to wikiloops operations, leading to a drastically changed time window on my personal end. You can tell by looking at the wikiloops 11 update that the technical maintenance of wikiloops goes on, as "keep the servers & browsers running" has to be dealt with as my top priority. 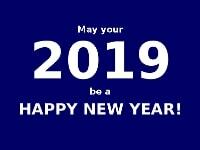 Some may have guessed it, looking at the "new years"-blog post sitting there for two months, and observing that the "usual" invitation to another wikiloops meeting has so-far not been issued for 2019, and it's true: I have (with a tear in the eye) had to cut down such "for the fun of it"-activities. then let's keep in mind: We all have the chance to make it happen together. Tofzegrit Hop hop hop ! Such little cool updates in the next version. Display issues (on IPhone) are gone!! About our ship, I will keep on support, listen, play and if you need some other hands, count on me! A bit disappointed about the event (depression indeed :)) but so glad about your new “way of” life. I’m addicted to music and that is wikiloops’s own fault and no no no, I will not blame you*!!!! A special dedication to The Wife, your Mom and Dad. mpointon I'm often wearing the same clothes! A large chunk of of my wardrobe still comes from a trip to the USA in 2007 when it was $2 to £1! I probably spent $1500 on that trip on clothes! gwailoah Thank you Richard for keeping on keeping on. Understandable about no Steinfeld 2019. Will look to find ways to support. Great video from Kimbo and everyone! marmotte Thanks for still being here Richard. kimbo thanks from Cornwall for managing to keep the loops running for yet another year, and whilst there is defiantly a tear I my eye about no wiki fest this year, I can fully appreciate the time, energy, and effort it takes to organise the event... so well done for all the previous years, and hopefully next year will happen somehow. once again, thank you, thank you, thank you for all your hard work and dedication allowing soooo many people to have soooo much fun. wjl Wow. 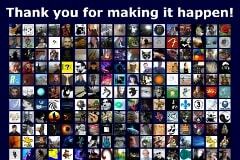 Thanks for that Richard, and also thanks to Marmotte, Martin, Gijs, Marc, Wade, and Kimbo for the cool video. Can't wait to see all of you again - or Martin for the first time. They called their song "Fried Brain"... now watch this!